Hello everyone! 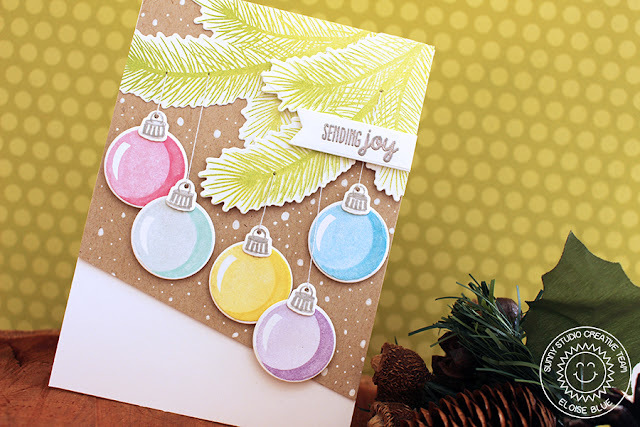 I'm up on the Sunny Studio blog today featuring a card using the Holiday Style stamp set! This is my personal favourite, even though I love them all - this one is just so amazing! Check out the blog post here to see how I made this card and I'll catch you all tomorrow for another day of my Christmas Card Series 2016. Absolutely beautiful card! I adore pastel type colors so I really am loving the colors you used for your ornaments! Would you mind telling me what brand and colors you used?